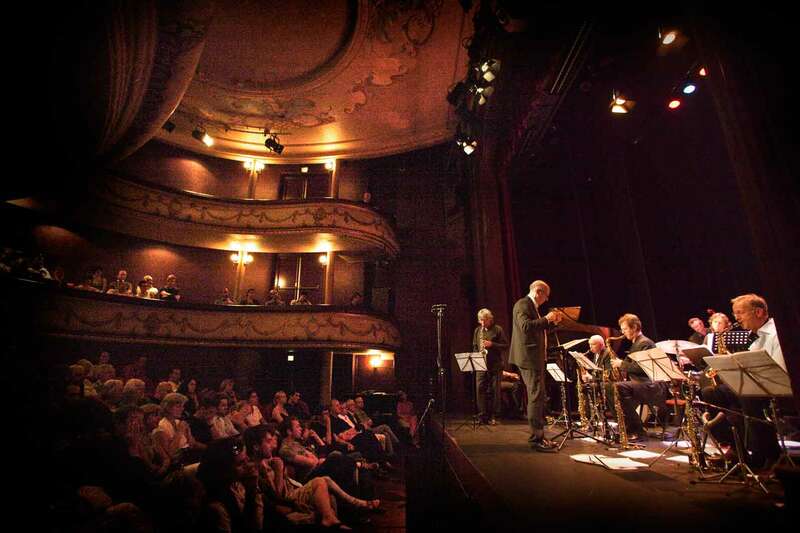 On Wednesday 1 October the Millennium Jazz Orchestra will be celebrating its 25 Anniversary at Theater Bouwkunde, Deventer… And YOU ARE INVITED! For 25 years every first Wednesday of the month the orchestra plays at this theatre and its first CD – a live album – was recorded here in 1991. With these regular concerts in Deventer, and often with well known guests, the band has a goal to work on and to stay in shape. For the first concert of the ‘Anniversary Concert Year’ the band hasn’t invited a guest, as the orchestra will be featuring its own musicians and let them shine as they have never done before! On behalf of all the members of the orchestra: We look forward to see you on October 1!